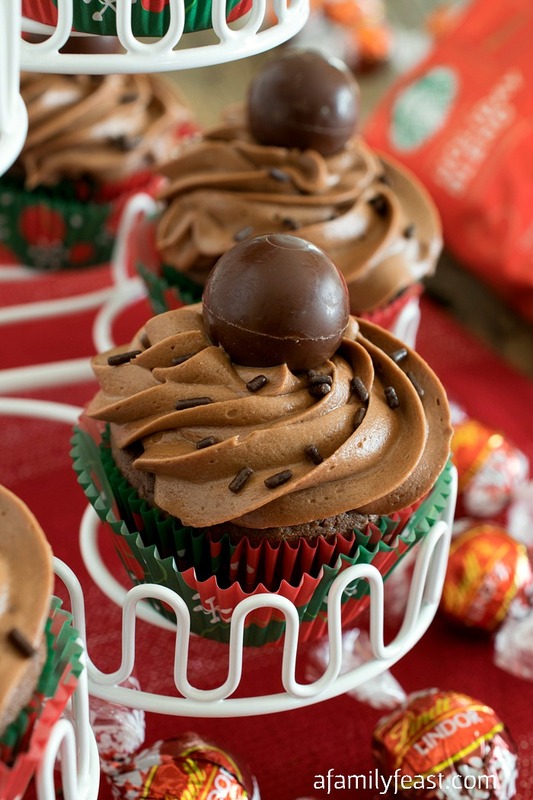 Chocolate and coffee lovers rejoice! 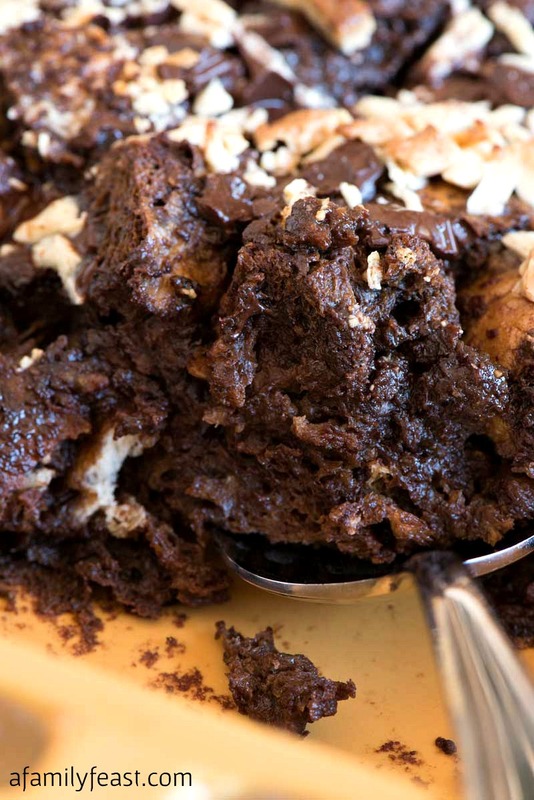 You will love this rich and delicious Mocha Bread Pudding! What a dessert! 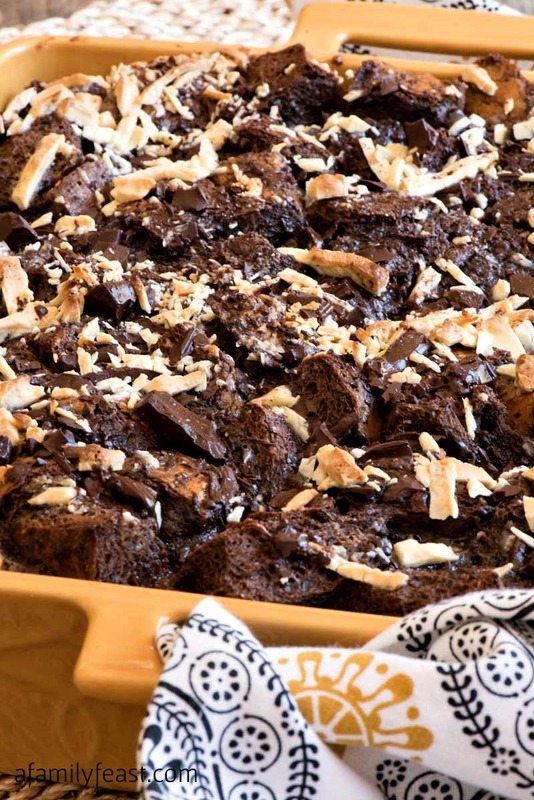 This Mocha Bread Pudding is one of the richest, most decadent bread pudding recipes you’ll ever eat! Like most bread pudding recipes, we start with day-old crusty bread (either Italian bread or a French baguette) that has been cut into large cubes. 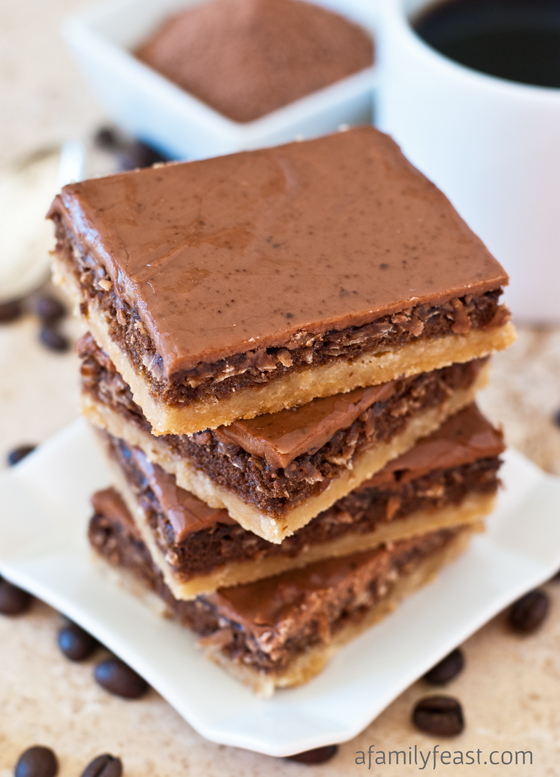 Then, a mixture of half and half, eggs, melted dark and semi-sweet chocolates, cocoa powder, espresso powder, brown sugar, cinnamon, vanilla extract, and (optional) vanilla vodka is poured over the bread cubes – soaking in all of that rich mocha flavor. 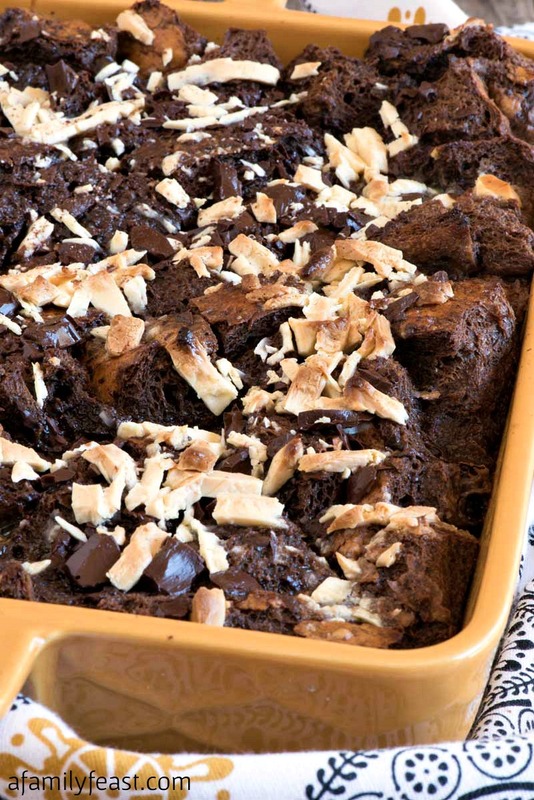 The inside of this luscious Mocha Bread Pudding is creamy and soft with ribbons of melted chocolate throughout. 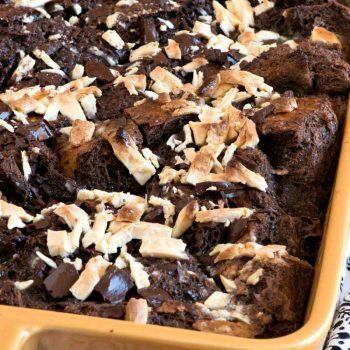 The outer edges of each piece of bread are slightly crispy and caramelized – lending a wonderful chew to this chocolatey bread pudding. 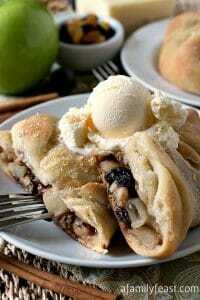 I told you that this bread pudding was rich and decadent!! 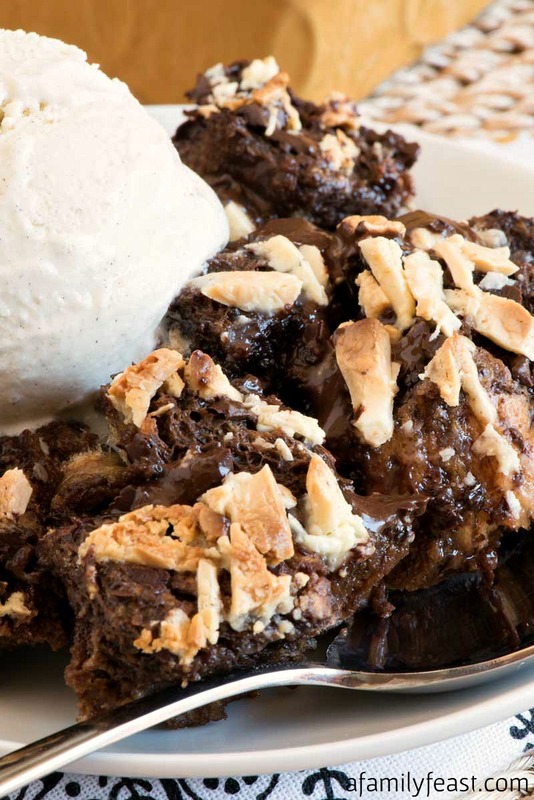 Serve our Mocha Bread Pudding warm out of the oven with a scoop of vanilla ice cream on top, and a cup of espresso on the side. Enjoy! In a separate microwave safe medium bowl, place half and half along with dark chocolate and half of semi-sweet chocolate. Microwave for 2-3 minutes to get cream hot enough to melt the chocolate. Do not over heat. Use a whip to mix the chocolate into the hot cream then set aside to cool. 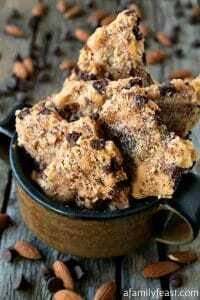 In a separate small bowl, mix brown sugar, cocoa powder, espresso powder, cinnamon and salt. Add to cream mixture and whip to combine. In the same small bowl, beat eggs with the optional vanilla vodka and vanilla extract. If the cream and chocolate mixture has cooled enough, add the egg mixture in and whip to combine. Pour the whole liquid mixture over the bread cubes and refrigerate for at least an hour. Butter a casserole dish. Ours was 10x10x2-inch in size. Pour the bread mixture into the buttered dish. 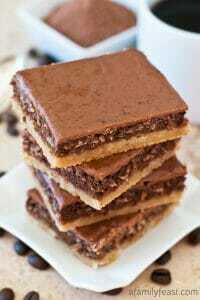 Take the 2 ounces of semi-sweet chocolate and shave off slivers with a sharp knife and sprinkle over the top. 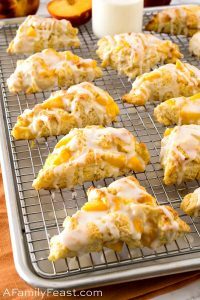 Do the same for the white chocolate and place the casserole dish into the oven for 45-50 minutes or until a knife inserted in the center comes out clean. The knife may pick up some chocolate so you are just looking to make sure the egg is cooked. The mixture will look a little puffy. Out of the oven, it will deflate somewhat. Let set for ten minutes then serve with vanilla ice cream.